KUALA LUMPUR (February 26): The Public Accounts Committee (PAC) wants the Auditor General's Department to immediately carry out an audit of the government-owned 1MDB's deals before it calls up the company. 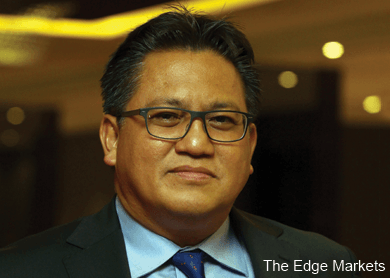 PAC chairman Datuk Nur Jazlan Mohamed said the immediate audit should be of the source of the RM2 billion used to settle 1MDB's loans with local banks, the RM3 billion injection of government funds into the debt-laden company, its dealings with PetroSaudi International (PSI), and whether the money parked in Cayman Islands has been brought back. “The public needs to know the truth and the government must be transparent on 1MDB. If its investments and operations are legitimate, let this be proven by the Audit Department,” said Nur Jazlan in a statement. “PAC wants the audit department to do an audit on 1MDB before we call it before us soon,” he said, adding that there have been many negative perceptions about the company and this has affected the government’s image. He said 1MDB was wholly owned by the government and the funds used for its investments and operations belonged to the public. A cross between a sovereign wealth fund and a private investment firm, the company has been criticized by people, both in Barisan Nasional, such as former Prime Minister Tun Dr Mahathir Mohamed, and a host of Opposition lawmakers. Some have claimed that 1MDB has run up debts totalling RM42 billion and its difficulties in settling them have put pressure on the ringgit and the nation’s sovereign credit rating. On February 13, it was reported that the company had to turn to tycoon T. Ananda Krishnan for a RM2 billion loan to settle debts owed to a consortium of local banks due in the middle of the month or trigger a default. More than a week later, DAP lawmaker Tony Pua claimed that documents of its PetroSaudi deal in 2009 made the venture seem like an elaborate scam to siphon US$700 million (RM2.5 billion) from 1MDB. The opposition had also queried 1MDB's financial health after 1MDB president and group executive director Arul Kanda Kandasamy said that its remaining US$1.103 billion (RM3.91 billion) Cayman Islands funds will not be repatriated back to Malaysia. On February 23, The Edge Financial Daily had also reported that 1MDB would further require a cash injection of as much as RM3 billion from the Finance Ministry, even after it had borrowed RM2 billion from Ananda. Sources said the controversial debt-laden outfit is facing a cash crunch as income from its power assets is not enough for debt servicing and it has run out of borrowing options.